The most wonderful time of the year has rolled around, bringing with it the requisite leaf piles, mutilated pumpkins, paper skeletons, decorative corpses, "fun" cobwebs, and other oxymoronic traditions that are nominally ghastly but suddenly become socially acceptable during this season of seasons. Oh there's also tons of complaining about pumpkin beer and other pumpkin spiced abominations. As per my personal orthodoxy of "extremist moderation", I generally find everyone's reaction here overblown. 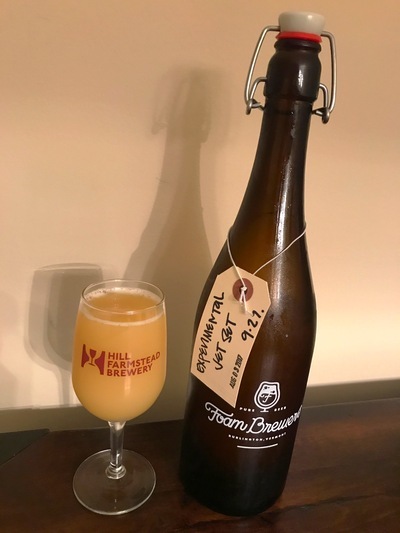 Pumpkin beers are fine and I always make room for a few in my beer drinking agenda, especially when I can find one that's an interesting take (read: someone put it in a barrel). I've had a couple barrel aged offerings from these folks and they're fantastic. Some of their more normal beers are solid too, but the Barrel Aged stuff is where it's at. I will most certainly be looking for more. According to my records, I haven't done a proper review of an Ommegang beer in almost 5 years. Can you imagine that?! Yes, well, you are pretty sharp, so I'm not surprised that you can, indeed, imagine that. My three readers are the best. Anyway, it's perhaps fitting that the last review was Ommegang's XV Anniversary beer, a rock solid Belgian Strong Dark. Since that time, Ommegang seems to be most famous for their Game of Thrones series of beers, popular but mostly unremarkable. Ommegang does occupy a special place in Kaedrin history though (being that they were the ones that introduced me to great beer way back during the turn of the century timeframe), so I'm glad they've stepped up their game for this 20th Anniversary brew. This beer starts out as something similar to that XV Anniversary beer, a Belgian Strong Dark, but then it spent a few months in old Buffalo Trace Bourbon barrels. Sometimes I find that bourbon barrels overwhelm the more subtle Belgian ale characteristics. Will that be the case here? Spoiler: nope, this is great! Beer Nerd Details: 11.8% ABV bottled (750 ml caged and corked). Drank out of a tulip glass on 10/14/17. Vintage: 2017. Good ol Ommegang. 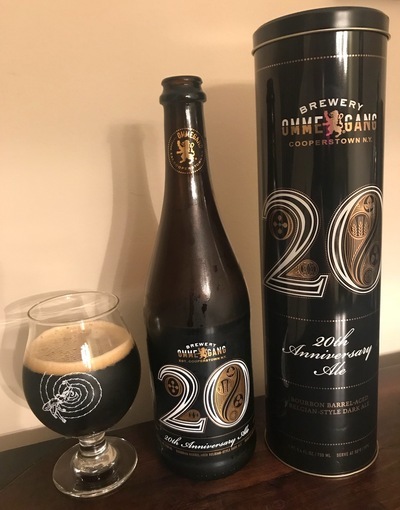 It's been far too long, old friends, and I see you've been doing some more interesting stuff, like brett-dosed beers and more barrel aged variants. Nice. 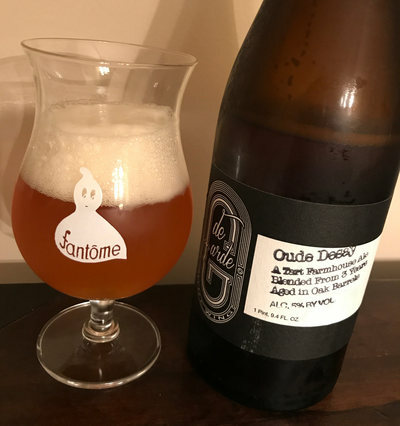 de Garde has made a several variants of a beer called Saison Desay. Near as I can tell, they had no real reason to use the word Desay (I mean, maybe they're big fans of the crappy electronics company or perhaps the unique wooden window found in Kathmandu, but I'm doubting it)... until I saw this beer. Did... did de Garde wait three years to blend this beer just so they could make an Odyssey pun with this beer name? I'm probably just the worst, but I like to think that someone at de Garde was willing to go to such elaborate lengths for such a trivial pleasure. As per usual, I'm always interested in checking out more from these fellows at de Garde. Alas, nothing in the pipeline. Woe is me. Saint Archer was an independent San Diego brewery that opened in 2013, but then sold out to some sort of unholy agglomeration of Miller, Coors, and Molson in 2015 (those three macros have been circling each other for a while and while I think they've finally settled on their final form, I don't think it's worth going into too much detail. 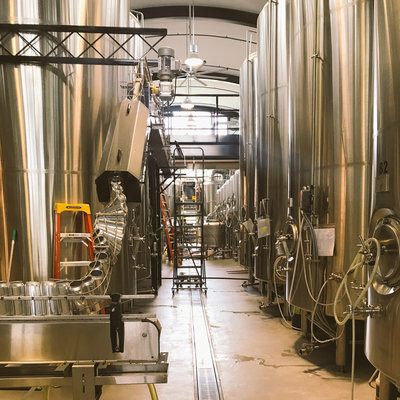 Suffice to say that they're the number two brewing concern in the U.S. behind AB InBev.) It was one of the earlier sellouts, and of course the news was greeted with much consternation and gnashed teeth amongst the craft beer cognoscenti. To my mind, whilst not a huge fan of massive corporations pushing around smaller breweries (which manifests in a variety of sneaky ways not worth enumerating at this point), I'm also not going to completely close myself off to the possibility of a beer from sellouts. For all the bluster and fury of the beer dorks, it's not like people aren't lining up for the likes of Bourbon County Brand Stout (made by notable sellout Goose Island) on Black Friday every year. What's more, that beer is still phenomenal. And, you know, I like phenomenal beer. So will this Tusk & Grain (i.e. their series of oak aged offerings) beer justify shelling out shekels for a stealth-macro? As the name implies, this is a blend of several barrel-aged components. Primarily a barleywine that spent two years in Woodford Reserve Bourbon barrels, with some two year old imperial stout and a one year old "export" stout blended in for complexity (exact proportions not specified). Apparently the big different between this second blend and the original blend is that the components are much older this time around. Sounds good to me. This approach calls to mind Firestone Walker's Anniversary mega-blends, which frankly sets the bar pretty damned high. I don't think they quite managed to clear that bar, but it's an admirable attempt, and one that I'm glad I tried, macro-ownership issues be damned. Beer Nerd Details: 12.94% ABV bottled (500 ml waxed cap). Drank out of a snifter on 8/19/17. Jeeze, I don't review anything for a couple weeks and my return review is a stinkin macro? A thousand pardons, I shall endeavor to do better. That said, this beer made a decent enough impression that I'd be curious to try some of their other offerings. So perhaps not a full thousand pardons. But a few, maybe? Something like that? Eh, let's just drink a beer and leave it at that. 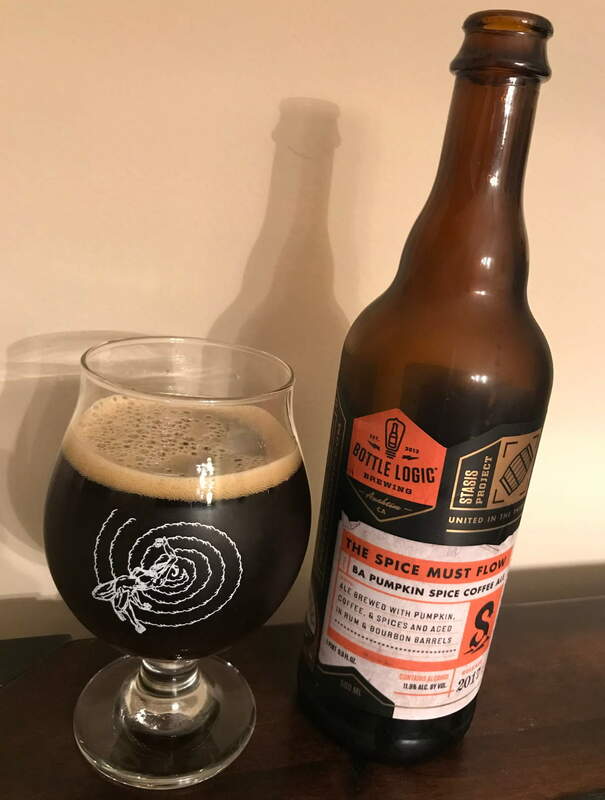 So what we have here is an Imperial Stout brewed with Summit hops, aged in a variety whisky barrels, and bottle conditioned with a wine yeast. 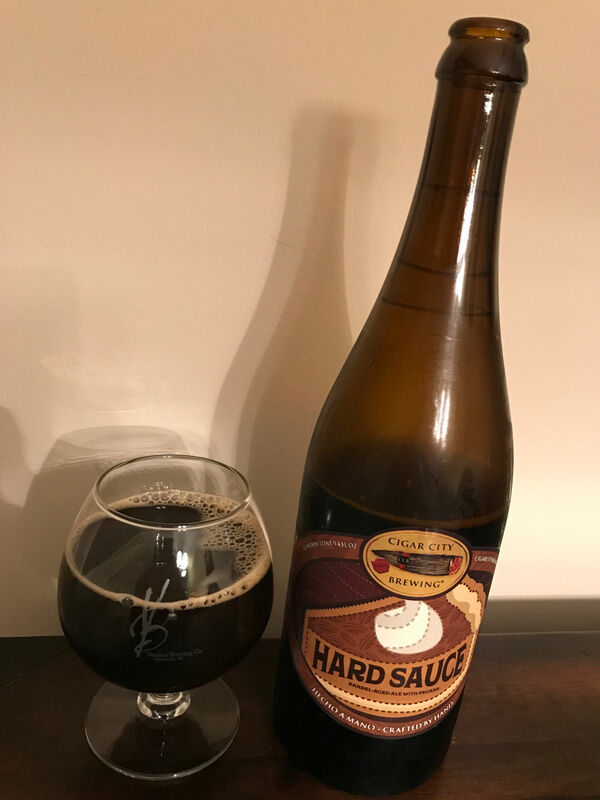 This is apparently different from the original batch (released in 2013), which used a Belgian yeast and incorporated Pinot Noir barrels in addition to whiskey barrels. It still feels like a distinct offering in a crowded BBA stout field. 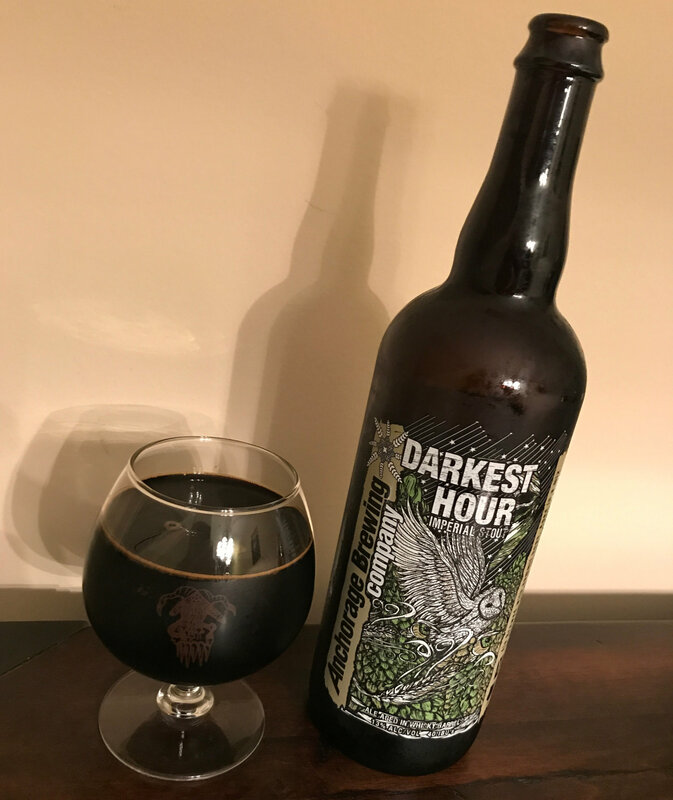 To paraphrase Carl von Clausewitz, this is the sort of beer that requires "an intellect that, even in the darkest hour, retains some glimmerings of the inner light which leads to truth." Or, you know, something like that. Beer Nerd Details: 13% ABV bottled (750 ml caged and corked). 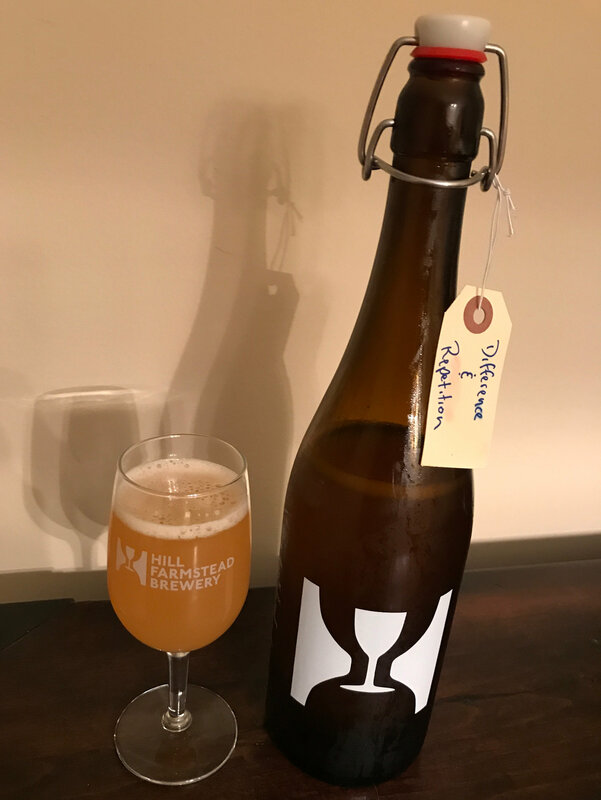 Drank out of a snifter glass on 8/18/17. Vintage: Batch #3 DEC/2016. Hard Sauce is a rich mixture of butter, sugar, and booze that is a frequent accompaniment to a large number of holiday sweets, puddings, and pies (as befits its seasonal provenance, other flavorings like vanilla and nutmeg are often added). The term "sauce" doesn't really capture the consistency here though, it's more of a spreadable soft butter than a smooth liquid or glaze. But when paired with warm pudding or pie, it does melt into more of what you'd think. It appears to be English in origin, dating back to King George I (aka The Pudding King), who demanded plum pudding with hard sauce at all Royal Christmas dinners. Beer Nerd Details: 11.9% ABV bottled (750 ml). Drank out of a snifter on 8/11/17. Bottled on: 12/21/16. This isn't exactly Vermont Beer Roulette, that venerable practice wherein I just grab a bottle (or can) of something in Vermont that I've never heard of and hope for the best, but it's close. In accordance with tradition, I did a little asking around before this latest Operation Cheddar to see if there was anything I should be on the lookout for, and one of the things that came up: get some Upper Pass! They've only been around for about a year and a half, but if these two cans are any indication, they'll be here to stay. 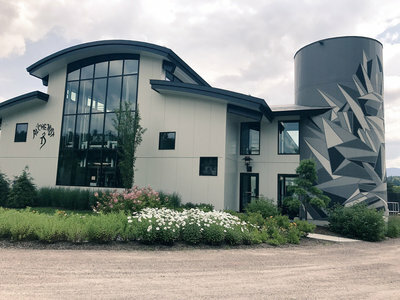 Currently brewing on a tiny one barrel system, they do manage to slip in the occasional big batch at the Von Trapp Brewery in Stowe (I believe my two cans hailed from one of those supplementary batches). 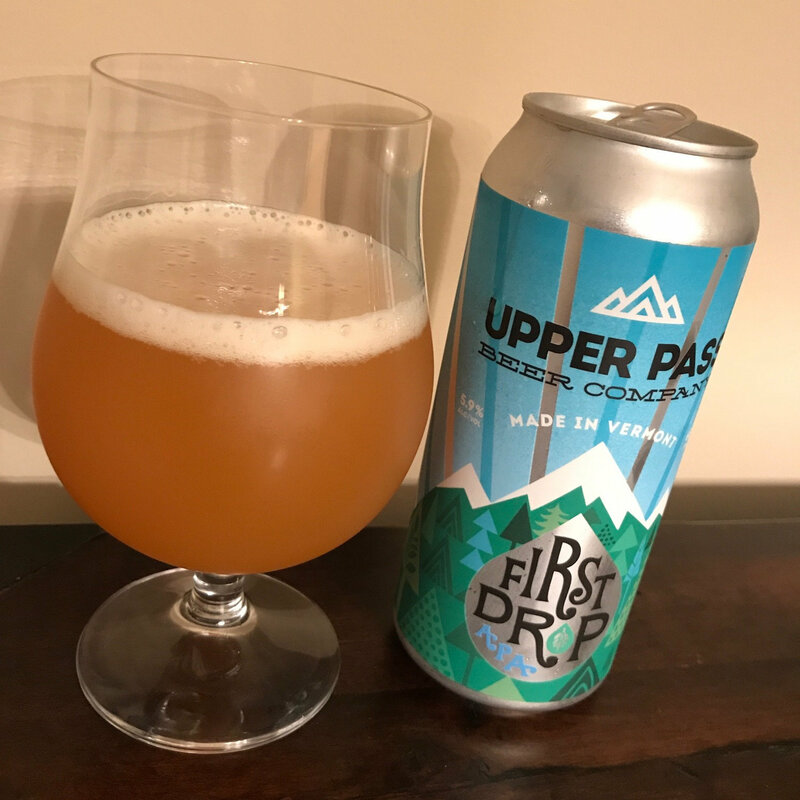 I don't know what it is about Vermont that breeds great IPAs, but Upper Pass has joined those hallowed ranks. Maybe it's in the water. Beer Nerd Details: 5.9% ABV canned (16 ounce pounder). Drank out of a tulip glass on 8/11/17. Canned on: 7/27/17. Beer Nerd Details: 8% ABV canned (16 ounce pounder). Drank out of a tulip glass on 8/11/17. Canned on: 7/27/17. 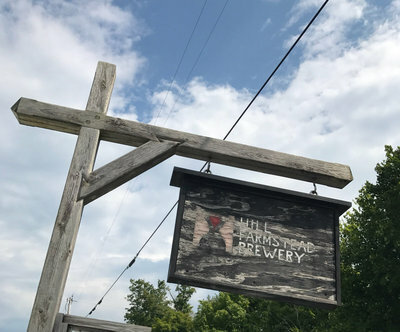 Always something new and great brewing in Vermont, these folks are putting out some great beer and we will be on the lookout upon future sorties into Vermont. So this annual sorty into Vermont to secure beer has become a hallowed tradition here at Kaedrin, and is thus well tread ground at this point. 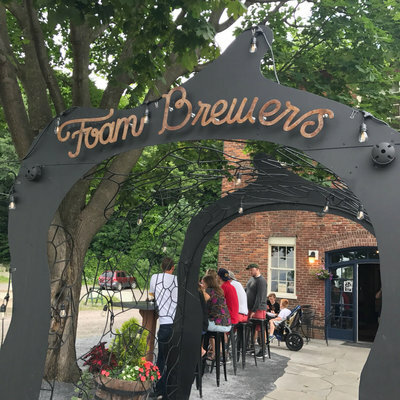 Every year, there are some minor tweaks, but the general shape of the invasion has cohered into a firm(ish) state: Start at Warren Store, hit CBC in Waterbury, new Alchemist visitor's center, Lost Nation for lunch, Hill Farmstead, and now Foam, all before heading back to my vacation spot in upstate NY. 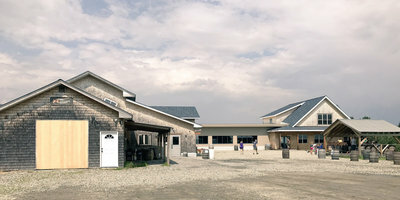 It's a fun little day trip, and I'm happy I get to do it, but I'll try not to bore you with repetition, so enjoy some brewery pictures, hauls, brewery pictures, hauls, brewery pictures, hauls, and a few quickie reviews (that are light on tasting notes and heavy on ruminations, so less skippable than usual, heh). Beer Nerd Details: 6% ABV growlered (750 ml swing top). Drank out of a flute glass on 8/5/17. Growler filled 8/3/17. Beer Nerd Details: 9.27% ABV growlered (750 ml swing top). Drank out of a flute glass on 8/5/17. 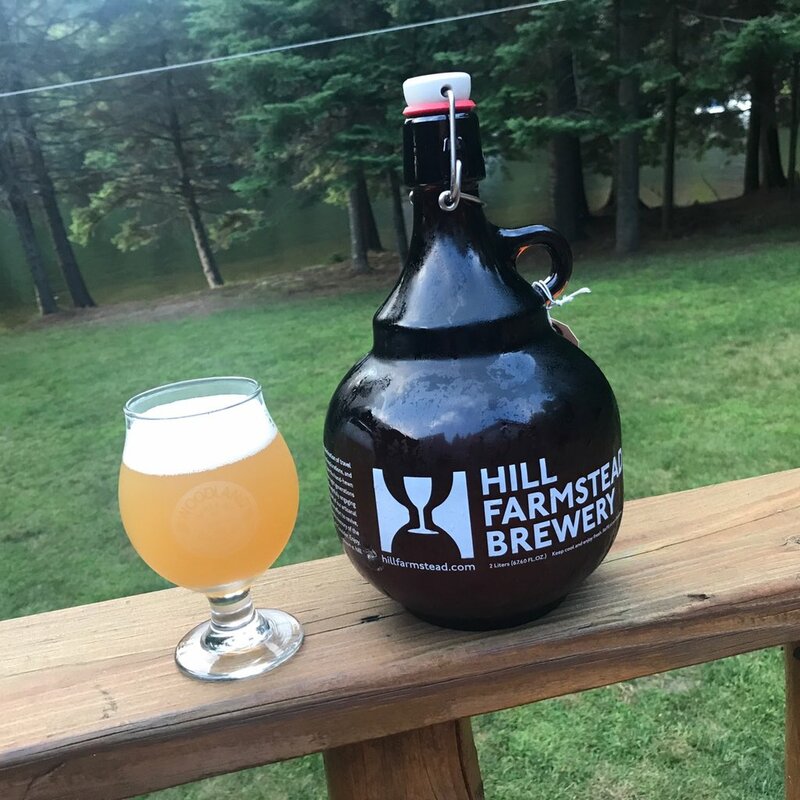 Growler filled 8/3/17. Beer Nerd Details: 6% ABV growlered (750 ml swing top). Drank out of a charente glass on 8/6/17. Growler filled 8/3/17. Beer Nerd Details: 5.1% ABV canned (16 ounce pounder). Drank out of a tulip glass on 8/12/17. Beer Nerd Details: 12% ABV bottled (750 ml). Drank out of a snifter on 8/12/17. Vintage: Limited Release 2017. 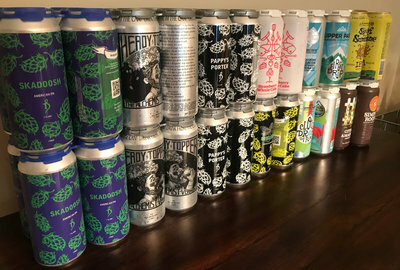 Can Haul: Alchemist Skadoosh IX, Heady Topper, Pappy's Porter, and Beelzebub. Burlington Strawberry Whale Cake. Upper Pass First Drop and Cloud Drop. Lawson's Finest Liquids Sip of Sunshine. Simple Roots Citra and Amarillo (see above). Hill Farmstead Bottles Haul: Farmer Wave, Anna, Arthur, Clara, Edith, Florence, Brother Soigné, and Convivial Suaréz. 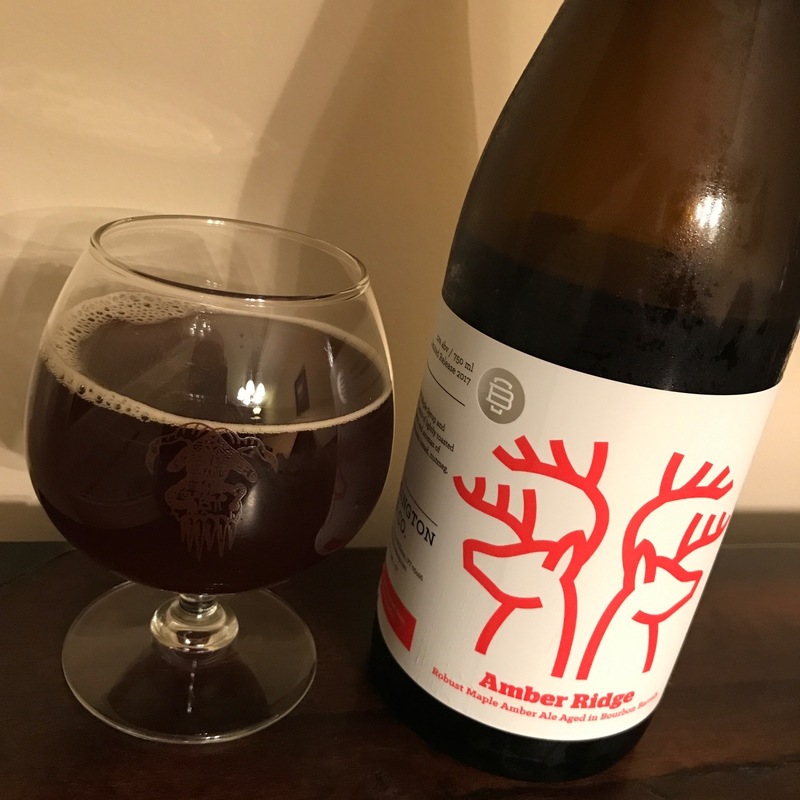 An overdue recap of Operation Cheddar VI: Night of the Living Cheddar (my latest foray into Vermont hunting for beer) is on its way, but in the meantime, let's look at a beer I drank in anticipation of that momentous undertaking. 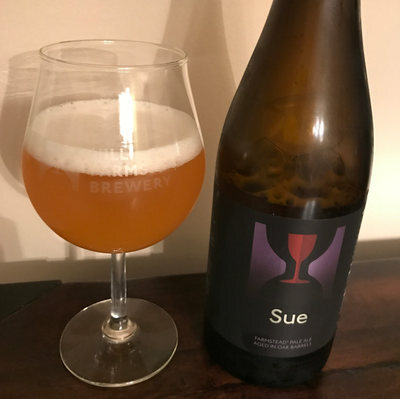 Sue is a wine barrel-aged version of Susan, which is one of Hill Farmstead's trademark bright, juicy, tropical fruity IPAs. This is... not the most likely candidate for extended aging. However, after two years in the barrels, the beer picks up lots of wine character and lemony tartness, making it much better than what an "aged IPA" would normally conjure. So let's get dressed up all in black, head over to San Quentin, and drink a beer named Sue*. "My name is 'Sue!' How do you do!?" Beer Nerd Details: 7% ABV bottled (750 ml). Drank out of a charente glass on 7/28/17. Bottled: 2017 05 11. Many thanks to Kaedrin beverage compatriot Dana for picking this up on her own invasion of Vermont recently. Several more Hill Farmstead offerings to come, as well as a full recap of Operation Cheddar VI, so stick around. * Get it? Screaming hot Johnny Cash reference here. Somewhere I have a list of potential beer names, and one of them was A Beer Named Sue. I mean, not "Sue" (like the above beer) but literally "A Beer Named Sue". I have no idea what it will be, and at my current rate of 1 batch per year it may be a while, but I will brew a beer and call it that. Someday. The Session, a.k.a. Beer Blogging Friday, is an opportunity once a month for beer bloggers from around the world to get together and write from their own unique perspective on a single topic. 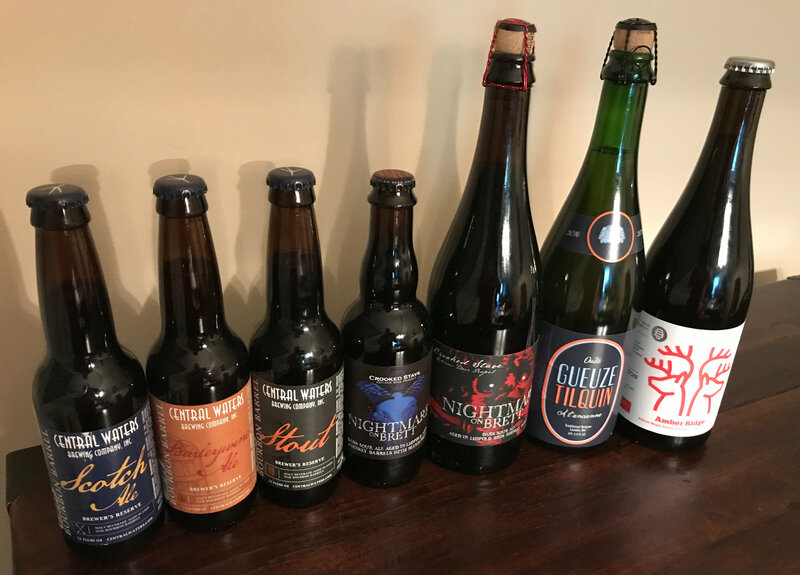 Each month, a different beer blogger hosts the Session, chooses a topic and creates a round-up listing all of the participants, along with a short pithy critique of each entry. 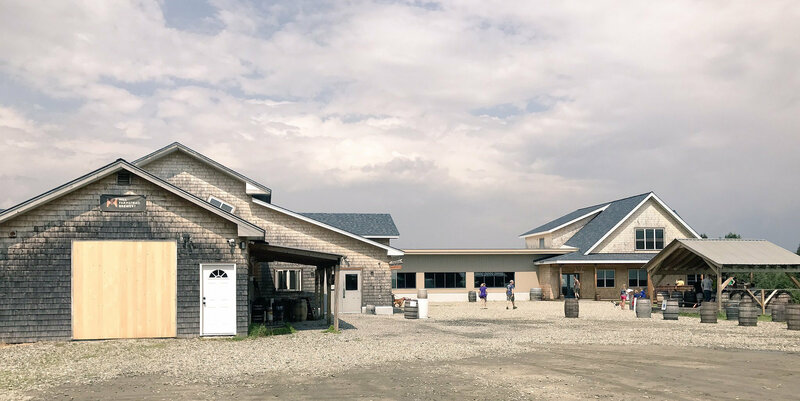 You can find more information on The Session on Brookston Beer Bulletin. 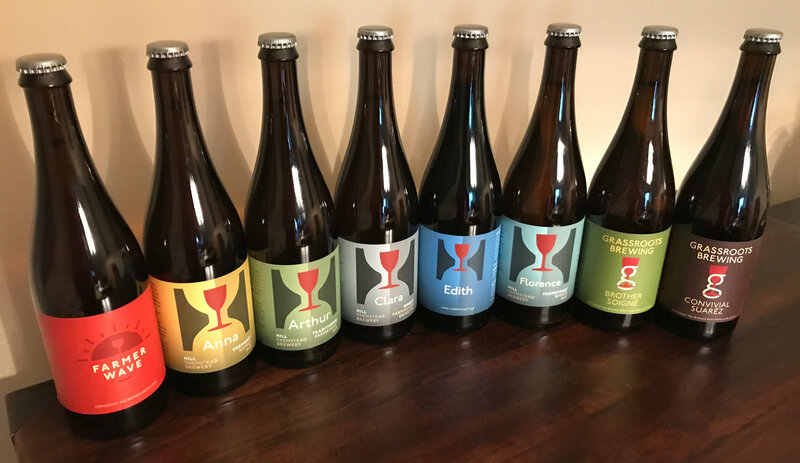 This time around, Gail Ann Williams of Beer by BART wants to talk about "New England, Vermont-inspired, Northeastern, Hazy, Juicy or whatever you like to call these low-bitterness, hop flavorful beers" and that's a subject that interests us here at Kaedrin, so here goes. 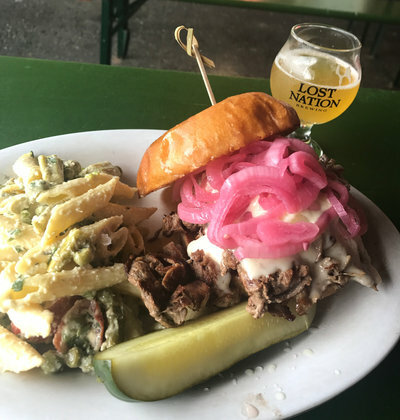 Part of the reason I attribute this to yeast (other than it actually being the most important, defining difference between NEIPA and traditional or West Coast IPAs!) is that when I finally got my greedy biscuit snatchers on some "Vermont Ale" yeast, I basically took an old IPA recipe and made the same thing (it ended up having slightly higher ABV and slightly less IBUs) but with different yeast and I was shocked at how different the resulting beer was. Yes, again, it was cloudy, but all my homebrew is relatively cloudy. The flavor was light years away from the original brew (which was a nice, solid little West Coast style IPA). Up next, I'm probably going to try a similar recipe, but using the easier to find Wyeast 1318 London Ale III strain (rumored to be close to what local Kaedrin favorite Tired Hands uses). The encounter: Do you remember your first NEIPA - if so, what was that like? Details, please. And how has your perception of the style changed over time? Or the name game: What style name do you prefer to describe the trend ... why choose that one, and why are the other names unworthy or short-sighted? Does "IPA" still apply in a way that's helpful to drinkers? I tend to go with Northeast IPA, but I'm not too picky and most of the other names work. Ultimately, though, they're still IPAs. 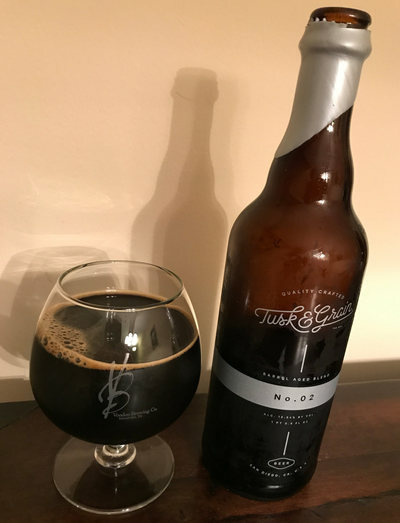 I don't think that we absolutely need a new BJCP style or something (though perhaps easing some of the restrictions on clarity and IBU might be in order). Or the crusade: Testify! Exactly why do you love or hate these beers? How you could explain your stance to somebody who disagrees with you. Could you/ how would you convert them to your point of view? Or setting standards and defining flaws: What makes a classic example of the style? I've already explained this a little above, but it basically amounts to pale malt (with much less in the way of crystal than a lot of IPAs, but other adjuncts like oats, rye, and wheat often in the mix), copious amounts of newfangled "flavor" hops (i.e. 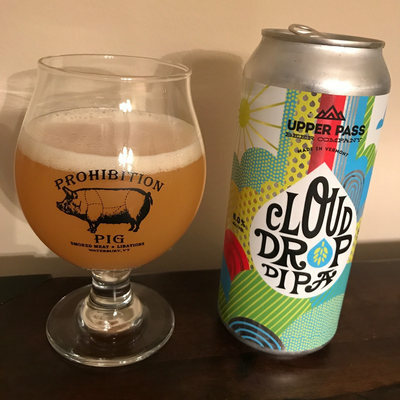 mostly American citrus and pine bombs, but also NZ and Australian hops, but these days, even Germany is starting to jump on the bandwagon - it's the citrus notes that are probably most important), and of course, the all-important yeast. Note that "cloudiness" is not an absolute requirement. I've had some of these that are no cloudier than an equivalent unfiltered West Coast IPA. Of course, I've had others that literally look like orange juice or chicken broth, but again, not an absolute requirement. Bitterness tends to be lower, but it doesn't need to be (I suspect the juicy character leads to a sweeter perception no matter what the IBU). Milkshake IPA should include lactose. 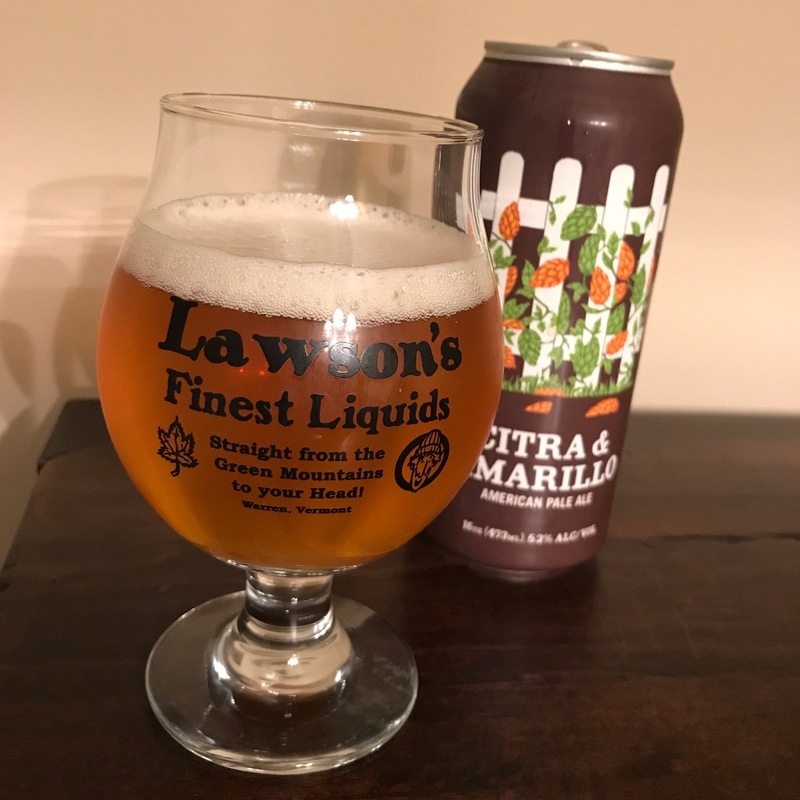 Flaws tend to be in the mouthfeel (some can get excessively grainy) and it's worth noting that these beers often don't last - they sorta require drinking as fresh as possible. Alright, so I could probably go on and on about this stuff, but the short story is that I like these beers a lot, and I hope they continue to be a thing.